Griffins cigars are among the top-rated Dominican cigar brands. These cigars are known all over the world for their excellent blends of high-quality tobaccos. Each cigar is delicately hand-rolled with Dominican binders that enwrap superb Cibao Valley tobaccos aged expertly to provide flavorful hints of cedar and nuts. These San Vicente Seco, Piloto Visus and Olor Visus filler tobaccos produce a flavorful smoke, and are enclosed in either Connecticut shade-grown wrappers or Maduro wrappers. The mild to medium Griffins cigars are perfectly balanced and provide an easy draw. Each cigar produces a consistently smooth smoke with every drag. These cigars are available in various sizes such as the 5 x 31 Griffins Privilege and the 5 ⅜ x 52 Griffins No. 400 cigars. The latest addition to the Griffins brand is the Griffins Gran Robusto, available in a size of 5 ⅜ x 52. The Gran Robustos are packed in chic, sliding-lid wooden boxes that hold 25 cigars each. 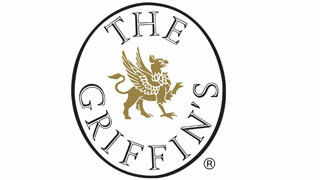 Griffins cigars are a distinguished line of cigars from the Davidoff family. In the world of fantasy, griffins are mythical creatures that have been created with the features of a lion and an eagle. The griffin is essentially a combination of the king of beasts and the mightiest of birds. And Griffins cigars are truly majestic and powerful. Light one up and you’ll feel roar of the smoke as it refreshes you fully. These cigars are perfect for both experienced and novice cigar smokers.